Arduino is an open-source electronics platform filling emerging needs and challenges. From simple 8-bit boards to products for IoT applications, wearables, 3D printing, and embedded environments, the ever-growing Arduino community keeps finding new ways to use Arduino. The active global community is made up of everyone from hobbyists and students to designers and engineers. Arduino was originally developed at the Ivrea Interaction Design Institute. 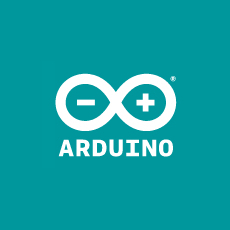 Arduino is open-source, easy-to-use electronics hardware and software that facilitates products for IoT applications, wearables, 3D printing, and embedded environments. Arduino senses the environment by receiving inputs from many sensors, and affects its surroundings by controlling lights, motors, and other actuators. LilyPad Arduino is available in Main and Simple, designed for e-textiles and wearables projects. It can be sewn to fabric, mounted power supplies, attached to sensors and actuators with conductive thread, and programmed with the Arduino Arduino Software (IDE).